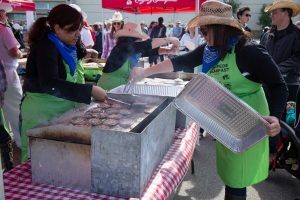 Another Balzac community tradition is the Stampede Breakfast! 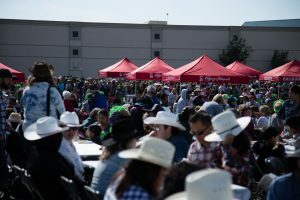 Every year, since 2009, on the first Monday of Stampede, Cross Iron Mills has hosted one of the Calgary region’s largest Stampede breakfasts in celebration of the largest outdoor show on earth. The shopping center was designed to celebrate Alberta landscapes and architecture, so getting involved in Calgary’s biggest celebration of local history and culture, only seemed natural. 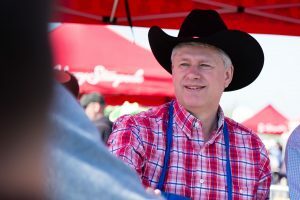 The annual pancake breakfast features petting zoos, local businesses, public figures, family fun and a celebration of the Balzac community. 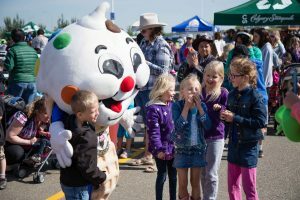 You’ll find Balzac Billy and many more Balzac Business Community Association members there, connecting with other businesses in the area, and the community as a whole.